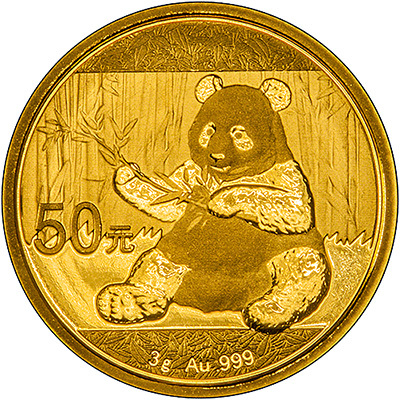 2017 gold panda coins issued by the People's Republic of China. 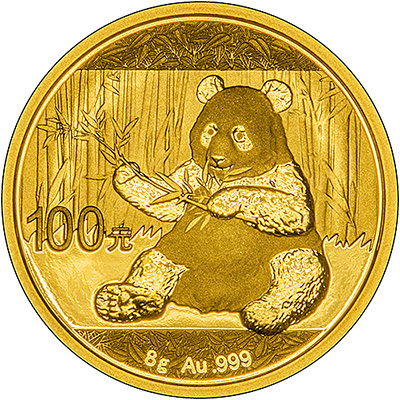 We received our first delivery on 5th December, 2016. 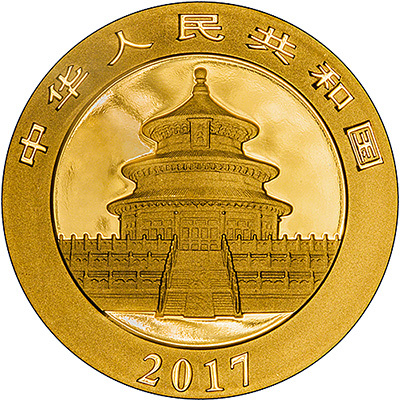 The obverse shows the Temple of Heaven, like in previous years. 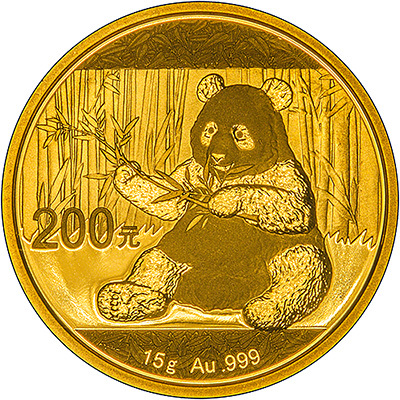 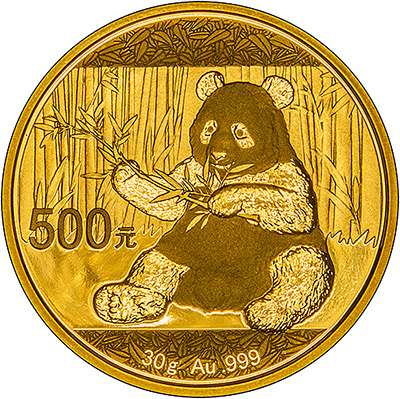 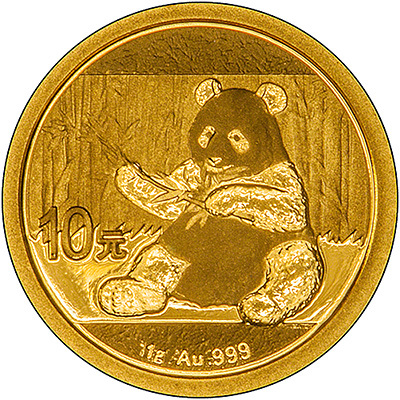 The reverse of the coins shows a panda eating some bamboo.